I had the great pleasure earlier today of visiting with Brian Allmer at the Barn. We got together to talk about my visit to Colorado at the end of this month. Brian and his wife Connie live on his family farm & ranch in Northeastern Colorado. Brian’s farm was named a Colorado Centennial Farm in 2016. During our visit before the interview, Brian’s deep knowledge, abiding respect and genuine love for agriculture and the people in agriculture, especially young people, really shone through. I learned that he is the “Official Livestock Announcer” at both the Colorado State Fair and the National Western Stock Show. 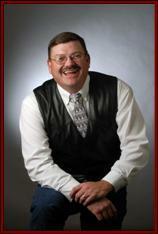 Brian has also served as a board member of the Colorado Future Farmers of America and 4-H Foundations. And he is co-founder and coordinator of the Briggsdale Classic Open, an annual stock show that has rapidly become a “must” for 4H and FFA youth involved in exhibiting market beef, lambs and goats. We had a great conversation today about the new risks and opportunities created by climate change. “Climate risk” is increasing agricultural risks across the board – production, marketing, legal/regulatory, financial and human. Although Colorado producers are masters at managing the risks associated with changing weather cycles and extremes of weather, these kinds of weather challenges are likely going to come faster and be more intense in coming years. Climate risk is something new. Practices that have worked in the past to manage weather-related risks will become less successful over time. We also discussed a new idea that holds a lot of opportunity for agriculture. The “City Region Food System” is a sustainable development idea that is rapidly gaining traction around the world. Simply put, this solution changes the nature of the relationship between urban and rural areas from one that is exploitive to one that is mutually beneficial. Rural areas are recognized as providing services essential to the health and well-being of urban areas and are remunerated accordingly. Instead of being viewed as a source of additional raw materials, rural areas are viewed, for example, as a source of high quality food, clean water and air, open space, beautiful landscapes, and living expressions of place-based tradition. Rural areas can also contribute significantly to regional climate change solutions, by storing carbon in soils, reducing flooding, and providing many other mitigation and adaptation benefits to both rural and urban communities. One of the real joys of my work these days is the opportunity to visit with all sorts of good people working in agriculture and food systems, all across the U.S. and beyond. We don’t always agree on the problems or the solutions, but we all share a deep love for the land and the people who care for the plants and animals that feed us. 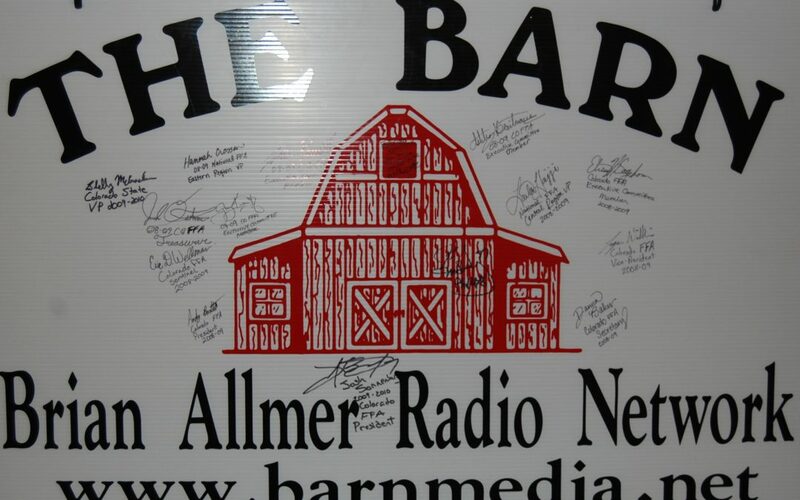 Thank you, Brian Allmer, for a great visit to the Barn. I look forward to catching up with you again real soon! You can hear the full interview at BARN ONAIR & ONLINE 24/7/365.